With this Chevy Chase Meeting Room Venue found in this optimal location, you are neighboring many of the country's leading corporations, government agencies, and national and international organizations. 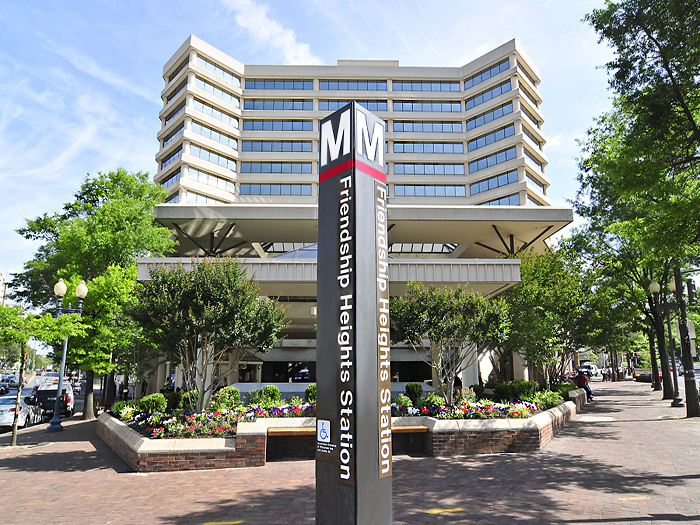 Our workspace is surrounded by the growing community of the friendship heights section of Chevy Chase in Maryland. Also within walking distance is the renowned Indique Heights Restaurant, or choose your fare from among the dozens of surrounding restaurants; along with nearby shops, banks and theaters and the acclaimed Mazza Gallerie shopping center.